I'd been hoping and waiting for the nice weather to come back - and there's been bursts of it this week. 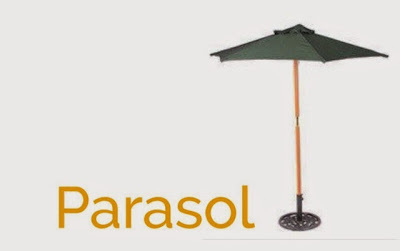 And that's where my parasol has come in handy, so that's my word this week. I've taken to setting up my technology on my refurbed garden table - but I need the parasol to keep the sun off the laptop screen and to stop my iPad overheating. It's also quite handy to be in partial shade when it really does come out! And I was out all day Tuesday watching some Wimbledon qualifier tennis where I really could have done with a parasol - I'll share some pictures from the tennis next week. 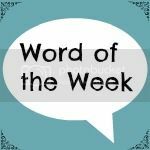 As usual I'm linking up with Jocelyn over at The Reading Residence and am looking forward to see what words everyone else has chosen this week.